The Atlantic States Marine Fisheries Commission was formed by the 15 Atlantic coast states in 1942 in recognition that fish do not adhere to political boundaries. The Commission serves as a deliberative body, coordinating the conservation and management of the states shared near shore fishery resources ÃƒÆ’Ã†â€™Ãƒâ€šÃ‚Â¢ÃƒÆ’Ã‚Â¢ÃƒÂ¢Ã¢â€šÂ¬Ã…Â¡Ãƒâ€šÃ‚Â¬ÃƒÆ’Ã‚Â¢ÃƒÂ¢Ã¢â‚¬Å¡Ã‚Â¬Ãƒâ€¦Ã¢â‚¬Å“ marine, shell, and anadromous ÃƒÆ’Ã†â€™Ãƒâ€šÃ‚Â¢ÃƒÆ’Ã‚Â¢ÃƒÂ¢Ã¢â€šÂ¬Ã…Â¡Ãƒâ€šÃ‚Â¬ÃƒÆ’Ã‚Â¢ÃƒÂ¢Ã¢â‚¬Å¡Ã‚Â¬Ãƒâ€¦Ã¢â‚¬Å“ for sustainable use. Member states are Maine, New Hampshire, Massachusetts, Rhode Island, Connecticut, New York, New Jersey, Pennsylvania, Delaware, Maryland, Virginia, North Carolina, South Carolina, Georgia, and Florida. 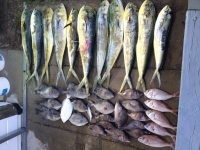 Each is represented by three Commissioners: the director for the stateÃƒÆ’Ã†â€™Ãƒâ€šÃ‚Â¢ÃƒÆ’Ã‚Â¢ÃƒÂ¢Ã¢â€šÂ¬Ã…Â¡Ãƒâ€šÃ‚Â¬ÃƒÆ’Ã‚Â¢ÃƒÂ¢Ã¢â€šÂ¬Ã…Â¾Ãƒâ€šÃ‚Â¢s marine fisheries management agency, a state legislator, and an individual appointed by the governor. Commissioners participate in the deliberations in the CommissionÃƒÆ’Ã†â€™Ãƒâ€šÃ‚Â¢ÃƒÆ’Ã‚Â¢ÃƒÂ¢Ã¢â€šÂ¬Ã…Â¡Ãƒâ€šÃ‚Â¬ÃƒÆ’Ã‚Â¢ÃƒÂ¢Ã¢â€šÂ¬Ã…Â¾Ãƒâ€šÃ‚Â¢s five main policy arenas: Interstate fisheries management, research and statistics, fisheries science, habitat conservation, and law enforcement. The one-state one-vote concept allows Commissioners to address stakeholder-resource balance issues at the state level. The Commission focuses on responsible stewardship of marine fisheries resources. It serves as a forum for the states to collectively address fisheries issues under the premise that as a group, using a cooperative approach, they can achieve more than they could as individuals. The Commission does not promote a particular state or a particular stakeholder sector. To promote the better utilization of the fisheries, marine, shell and anadromous, of the Atlantic seaboard by the development of a joint program for the promotion and protection of such fisheries, and by the prevention of physical waste of the fisheries from any cause. Healthy, self-sustaining populations for all Atlantic coast fish species or successful restoration well in progress by the year 2015.